This year I am joining in with Stevie’s Liked and Loved linky. It’s a chance for me to look back at the month and share with you what I’ve liked and loved. I didn’t share my liked and loved for August as we were on holiday and I was having a little break. Which means this month I will share a mixture of August and September. Of course I had to include our holiday. We had a week away to Pembrokeshire in Wales and we had such a lovely time. It was really nice to have time together away from day to day life and as it was at the end of the summer holidays, we were ready for it. 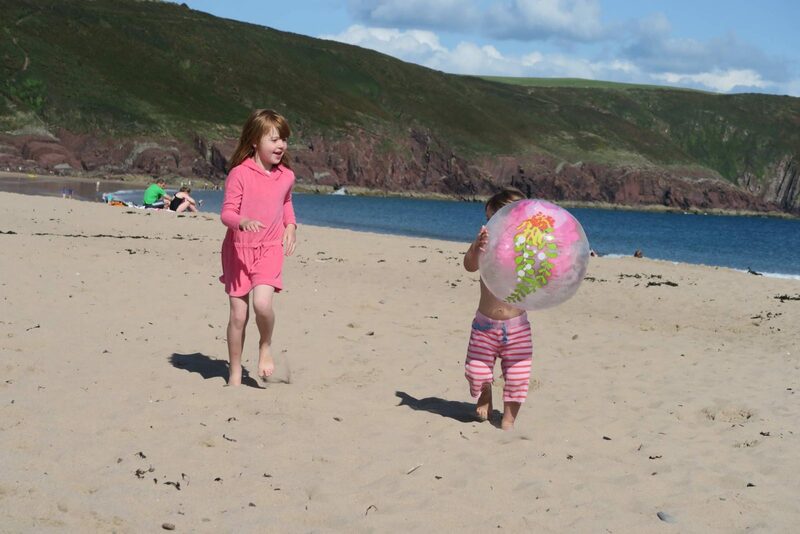 We were really lucky with the weather and had days on the beach, days out and lots of swimming. 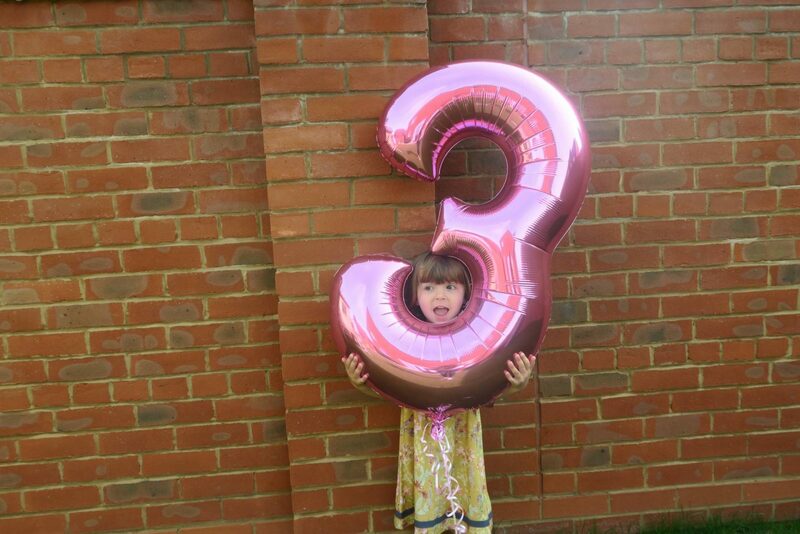 In August within a 10 day period we had Alice’s 5th birthday, Andy’s birthday and Holly’s 3rd birthday. It’s crazy birthday month for us, but they love it. I guess it means no one ever feels left out. There was lots of family time, lots of presents and lots of cake. It’s pretty exhausting for me, but I wouldn’t have it any other way. As we approached the summer holidays I was pretty nervous about coping with both girls every day over the summer. But I actually had nothing to worry about it. Alice was tired at the start and we had a few testing days, but once she through it they were a joy to be around. We had so much fun together us girls and I will always prefer it when they are with me. In fact life seems easier somehow with no routine. Since we moved house just before Christmas I have slowly being getting it just as we like it. We had a wall in our kitchen that for a while I wasn’t quite sure what to do with it. 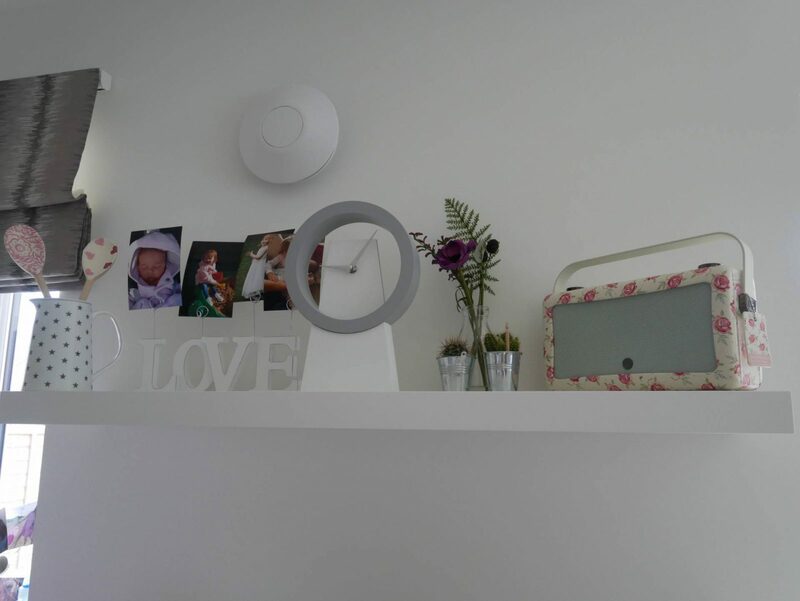 Then after some inspiration I decided that a nice shelf would look be perfect. It is finally in place and I’m still playing around a bit with what to put on it. But however it ends up, I’m so pleased with it. The girls both got a build a bear voucher for their birthdays from grandparents. It’s something that they haven’t done before, but recently Alice has seen adverts and heard friends talk about it. We took a trip to a local town that had a build a bear workshop and my mum came too. 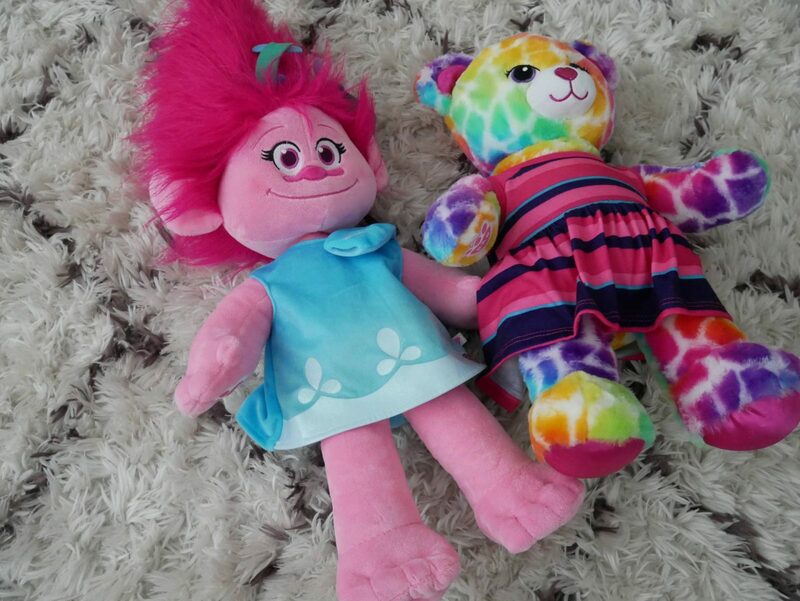 Alice had already decided she wanted a rainbow bear and thankfully they had one. As soon as Holly saw Poppy, that was the one she wanted. It was such a lovely experience and they girls loved it. We also managed to get them a bear, an outfit and some accessories with the money they had. Last weekend I went to Manchester for BlogOn, which is a bloggers conference run by a brilliant blogger. I’ve been before, but I was really looking forward to it. Having now been a few times and knowing that lots of people that I love to see were going to be there I wasn’t as nervous as I have been in the past. It was really lovely to see everyone again and meet lots of new people too. The sessions were really inspiring and I’ve come away with lots of ideas. September has literally flown by and I can feel us on the countdown to Christmas! October brings Halloween and half term, I can’t wait. It sounds like you have had such a good couple of months. I’ve never done build a bear before but it does certainly look fun! Im glad your girls enjoyed it. Sounds like a great few months, I am always a little nervous about the Summer holidays although I never know why, I love them!! I never want them to go back to school! Blog on sounds amazing, I really need to go one year although I will be clinging on to any familiar face (I’m so talking about you!!) I see as I don’t really know any one!